The TRAIL DES 2 AMANTS® is an event organized by enthusiasts of the Trail running. It's reputed to be one of the most difficult of Normandy. 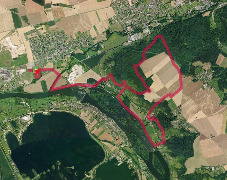 It consists of 3 Trails running (18km / 25km / 53km) and a Nordic walking (15km).